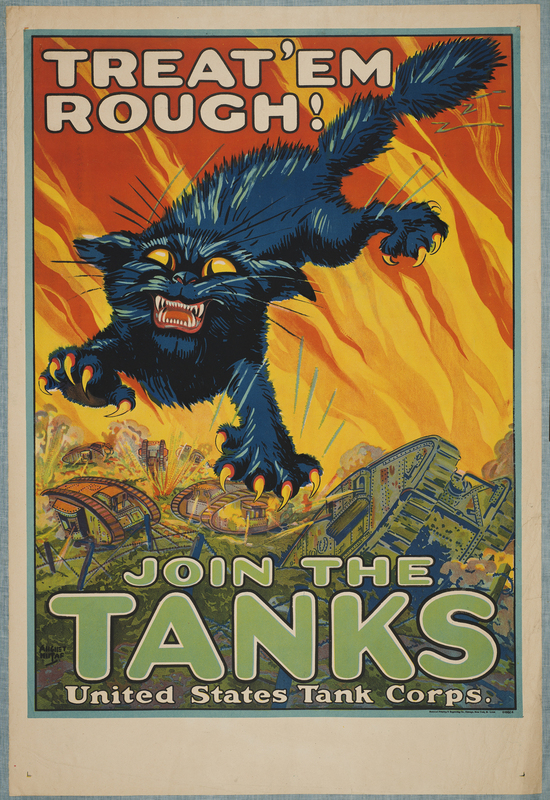 The Ransom Center recently launched a new platform of digital collections on its website, which includes the World War I poster collection. 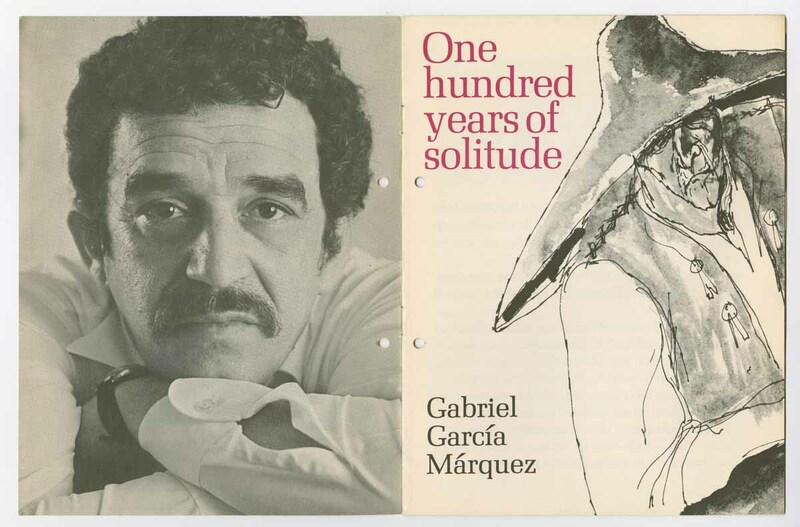 More than 120 items from that collection, including the posters highlighted in this blog post, can be viewed on the new platform. 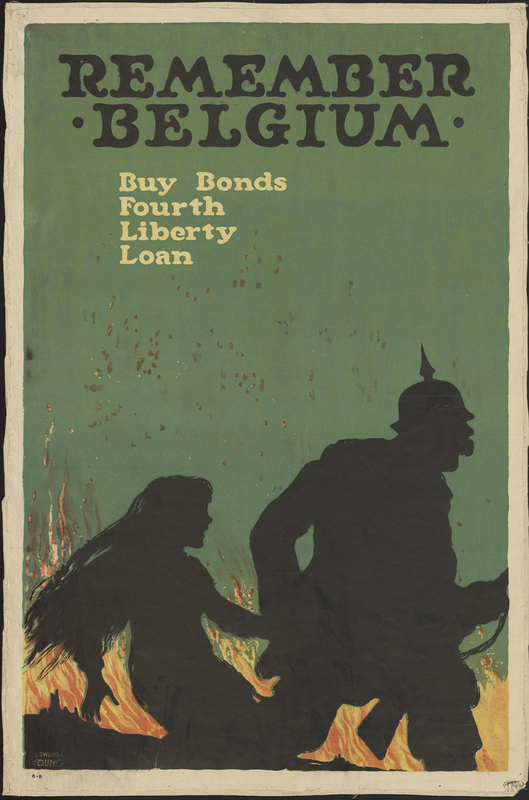 Some of these posters can also be seen in the current exhibition The World at War 1914–1918. 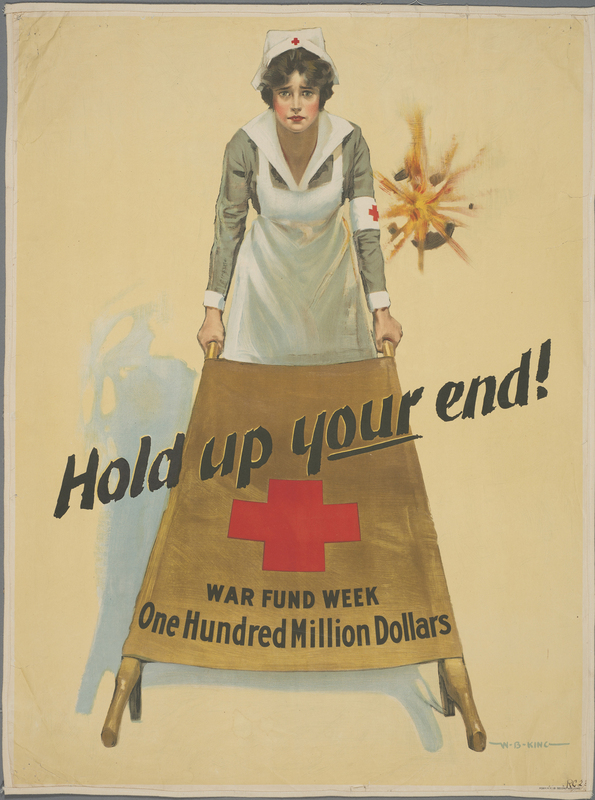 The Ransom Center’s World War I poster collection illuminates the lived experience of the war from the point of view of everyday people worldwide. 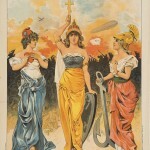 Lithographs in English, French, German, and Russian illustrate a wide spectrum of sentiments from military boosterism to appeals for public austerity. (English translations of foreign-language poster titles are available in the description of each item.) 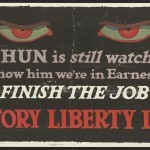 The posters document geo-political events and the social and economic transformations set in motion by the war. The role of women, new technologies, international aid, wartime economy, and food supply all feature prominently in the collection. 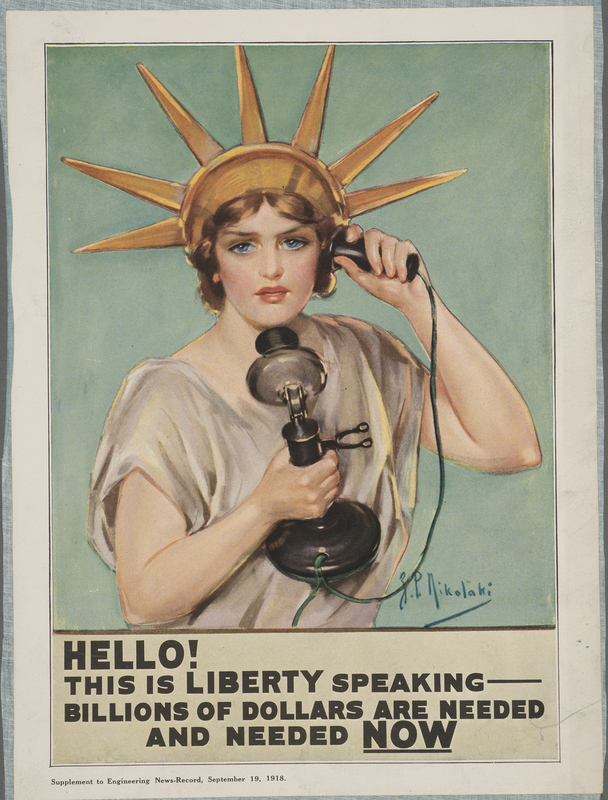 The majority of the posters in the Center’s collection are authentic lithographs. 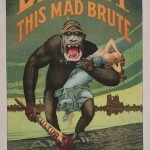 Discovered in the late eighteenth century, the techniques of lithography reached a golden age during the First World War. In the modern four-color process, combinations of colors are separated using photographic filters into four primary colors: cyan, magenta, yellow, and black. To print lithographs, colored ink is added to printing “stones” in solids and patterns. The ink only adheres to marks on the wet stone made by a greasy crayon. Early lithographs featured simple blocks of solid colors. By the turn of the century, artists harnessed overlay and blending to create more subtle visual effects. 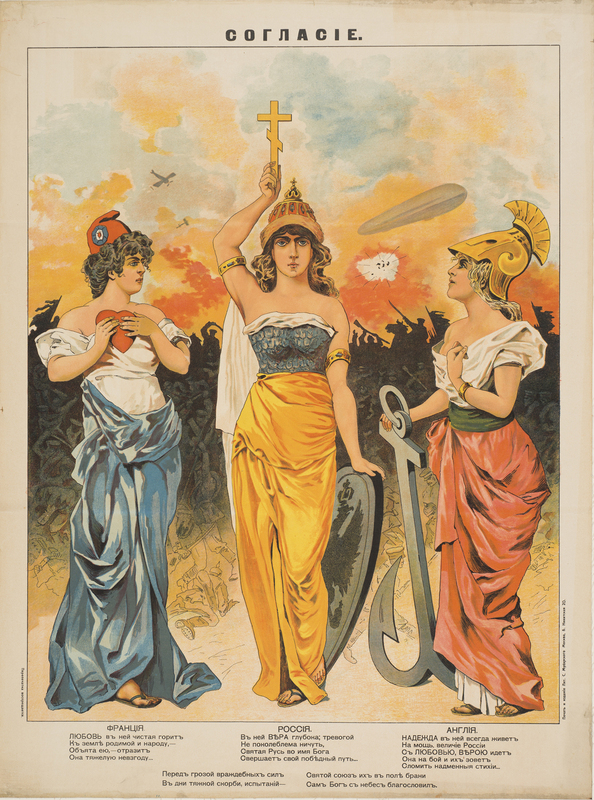 Produced in 1917 shortly after the United States entered into the war, Sem’s poster suggests that the American soldiers will turn the tides of battle and bring liberty to Europe. The artist conveys most of his message wordlessly. 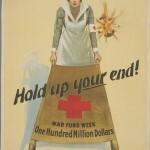 The text urges support through the purchase of a war bond: For the liberty of the world. Subscribe to the National Loan at the National Credit Bank. 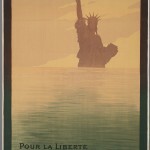 Pour la liberté du monde pairs artistry and symbolism to rouse support among the war-fatigued French public. 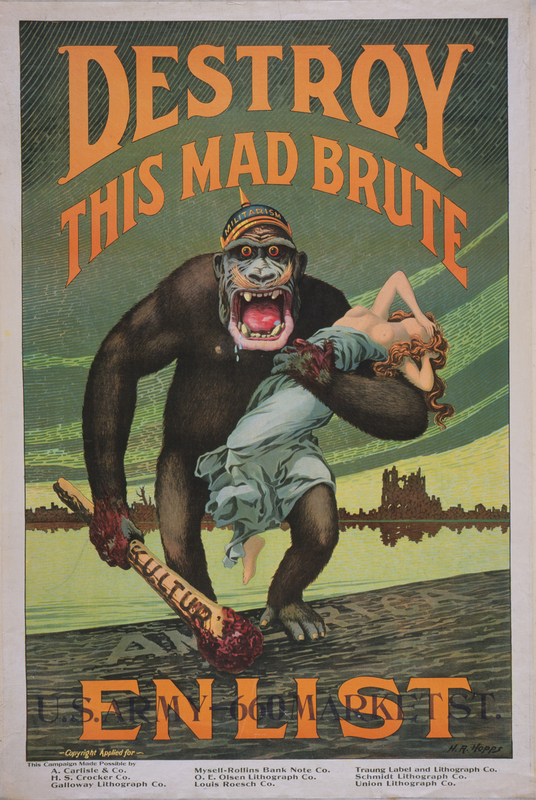 Explore the World War I poster collection to see more examples of artists using lithography to transform political ideas into persuasive compositions of image and text. Unknown artist. “Soglasie” (“согласие”). 1915. [Agreement or Triple Entente]. Lithograph. 71 x 54 cm. Sem (1863–1934). 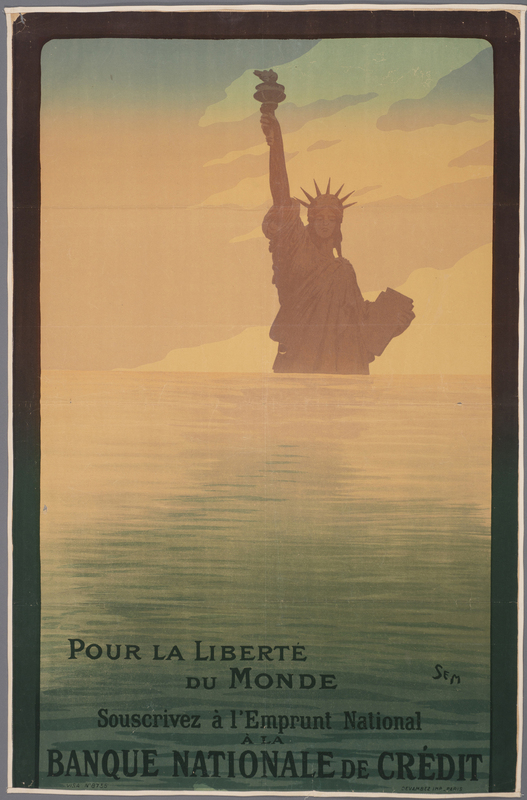 “Pour la liberté du monde. Souscrivez á l’Emprunt National á la Banque Nationale de Crédit.” [For the freedom of the world. Subscribe to the National Loan at the Banque Nationale de Crédit.] 1917. Lithograph. 119 x 77 cm. 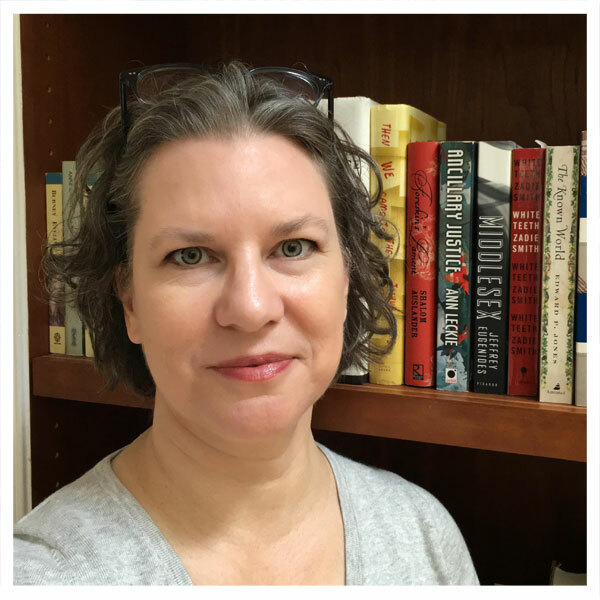 Lucille Patterson. “Service. 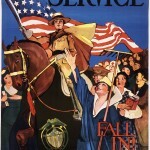 National League for Women’s Service. Fall In!” ca. 1914–1918. Lithograph. 63.5 x 44 cm. Z. P. Nikolaki. “Hello! 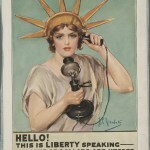 This is Liberty speaking.” 1918. Lithograph. 30.5 x 22.5 cm. Unknown artist. 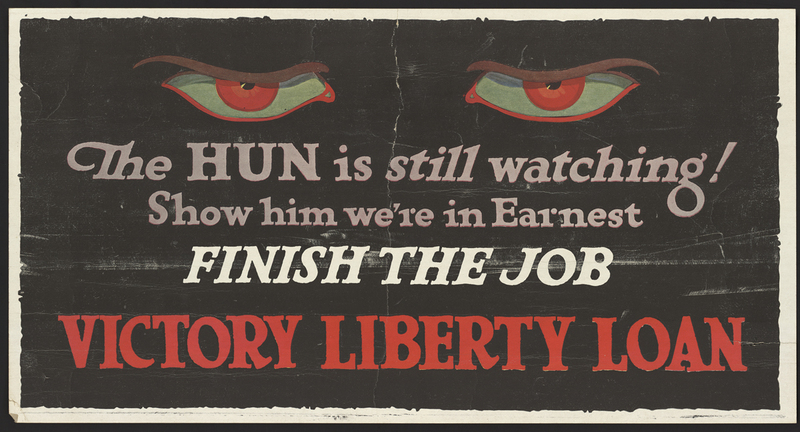 “The Hun is still watching!” 1917. Lithograph. 28 x 53.5 cm. Ellsworth Young. “Remember Belgium. 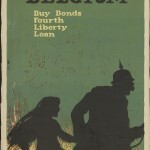 Buy bonds.” 1918. Lithograph. 77 x 51 cm. James Allen St. John (1872–1957). 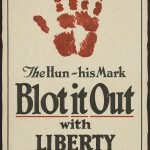 “The Hun. His mark. 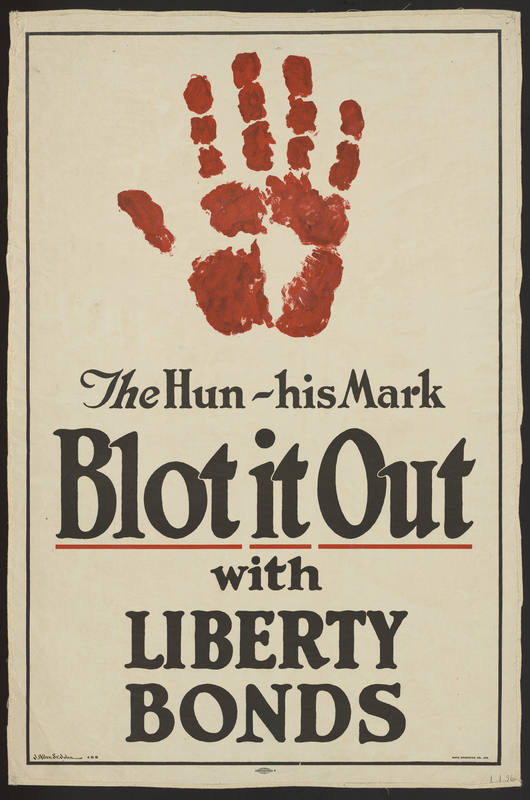 Blot it out with Liberty Bonds.” 1917. Lithograph. 76.5 x 50 cm. William P. King. “Hold up your end!” ca. 1914–1918. Lithograph. 70 x 51.5 cm. Harry R. Hopps (1869–1937). “Destroy This Mad Brute. 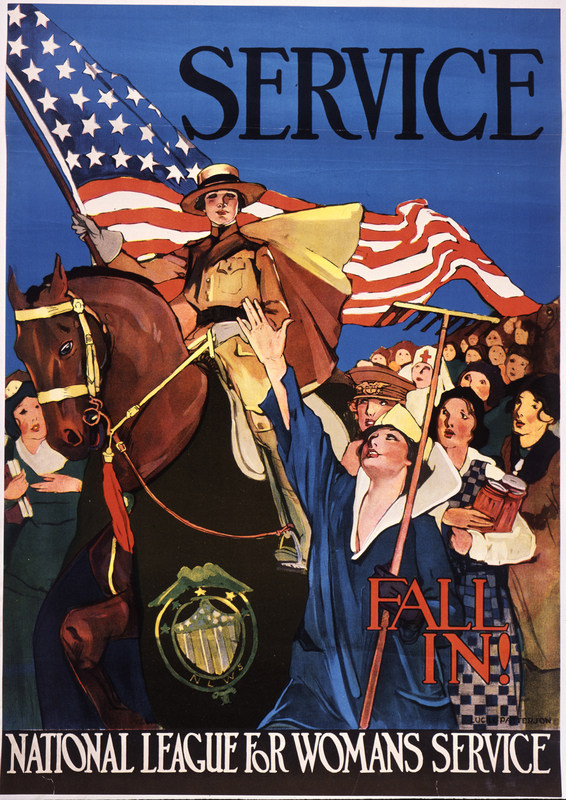 Enlist – U.S. Army.” 1917. Lithograph. 106 x 71 cm. August William Hutaf (1879–1942). “Treat ’em rough. 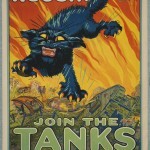 Join the tanks.” 1917. Lithograph. 104 x 70 cm.